June 18, 2018 By This post may contain affiliate links. Add a touch of beauty to your bridal shower dessert table by serving these Raspberry Cheesecake Roses. Each pretty pink rose shaped cheesecake is infused with real raspberry puree and can be served with a garnish of chocolate ganache for added flavor. I was meaning to share the idea for making these Raspberry Cheesecake Roses with you for Mother’s Day last year, then again this year, but I just kept running out of time. Instead of waiting another year, I decided to share them now, during the busiest wedding month of the year. 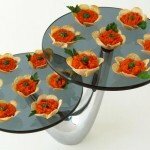 These rose shaped cheesecakes would make beautiful desserts for a wedding or a bridal shower. They’d also be lovely for a garden party, a ladies luncheon, or, of course, Mother’s Day. 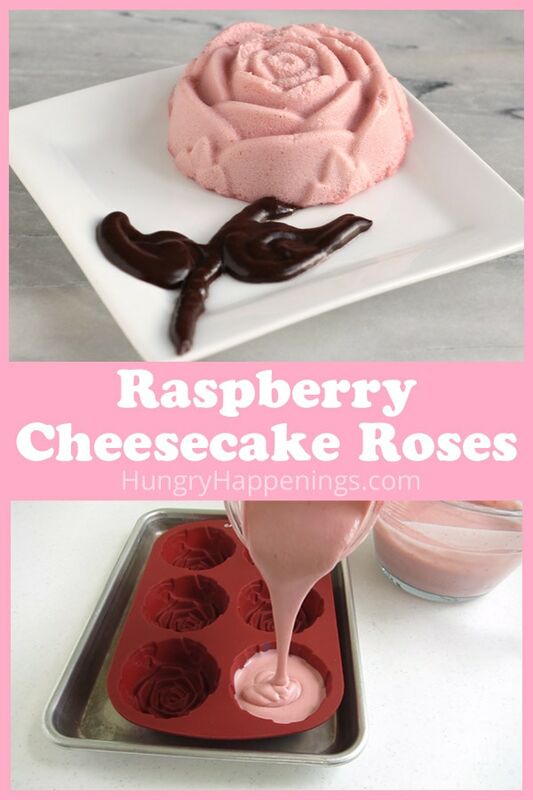 They are pretty simple to make using a rose shaped silicone mold and my favorite cheesecake recipe that is flavored with raspberry puree. To make these cheesecake roses you’ll need raspberry puree. Allow frozen raspberries to thaw completely. Press them through a fine mesh strainer to remove seeds. OR heat frozen raspberries in a saucepan set over medium heat. Stir frequently until the raspberries break down. Press through a fine mesh strainer to remove seeds. You can simply serve these raspberry cheesecake roses on a little dessert plate or you can add chocolate ganache stems and leaves, dots, or stripes to make the desserts extra special. 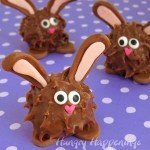 Chop semi-sweet chocolate into small pieces. Combine the chocolate with heavy whipping cream in a microwave safe bowl. Heat for 30 seconds on high power then let the bowl sit in the microwave for 2-3 minutes before you stir until smooth. OR heat the heavy whipping cream in a saucepan until it just begins to bubble around the edges of the pan. Pour the hot cream over the finely chopped chocolate and allow to sit for 4-5 minutes. 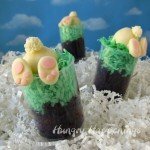 To make these mini cheesecake roses you’ll need some supplies which you can find on amazon (commission earned for sales). 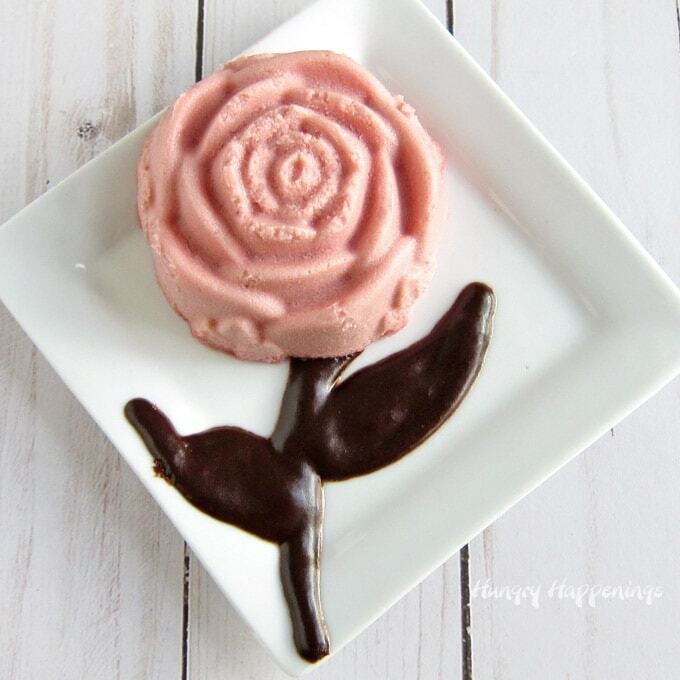 Pink rose shaped raspberry flavored cheesecakes make lovely desserts for Mother's Day, weddings, bridal showers, ladies luncheons, and garden parties. Press the thawed raspberries through a fine mesh sieve to remove seeds. Beat cream cheese until smooth and creamy. Pour in raspberry puree and lemon juice. Fill one silicone rose mold half way with the raspberry cheesecake filling. Use a food-use-only paint brush to push the filling into all the small grooves in the rose mold and to pop any air bubbles. Fill the mold with more cheesecake filling. Repeat filling a total of 10 rose molds. Set molds on a rimmed baking sheet or in a roasting pan. Set pan in the oven and fill the pan with very hot water until the water comes half way up the sides of the rose mold. Bake for 18-24 minutes until the tops of the cheesecakes no longer look wet but the center still jiggles. Remove from the oven and from the water bath. 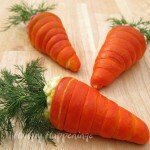 Let cool at room temperature for 20 minutes then refrigerate for 30 minutes. Cover with plastic wrap and pop in the freezer for at least 3 hours. 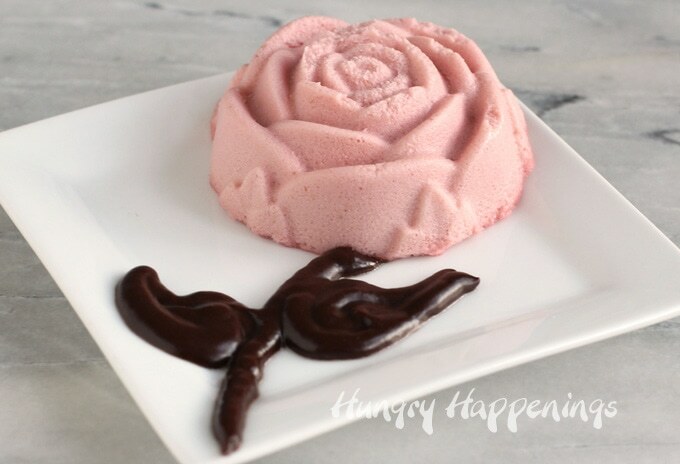 Remove from freezer and push the rose shaped cheesecakes out of the mold. Immediately set on a small dessert plate. Allow to thaw at room temperature for about 30 minutes before serving. Pour chocolate and heavy whipping cream into a microwave safe bowl and heat on high power for 30 seconds. Let rest for about 3 minutes then stir until smooth. Pour into a squeeze bottle and let cool until slightly thickened. Pipe stems and leaves, dots, or squiggles onto the plate before adding the cheesecake rose. The silicone rose molds have a lot of very tight little grooves in them and even though the filling is quite thin it's important to use a food-use-only paint brush to push the filling down into the grooves. If you do not, you will have a lot of air bubbles (holes) in the tops of your cheesecake roses. If you want your roses to be more vibrantly colored you can add a few drops of pink food coloring. It's important that the cheesecakes be frozen when you un-mold them so that they hold their shape nicely. The cheesecakes will thaw in about 30 minutes at room temperature. 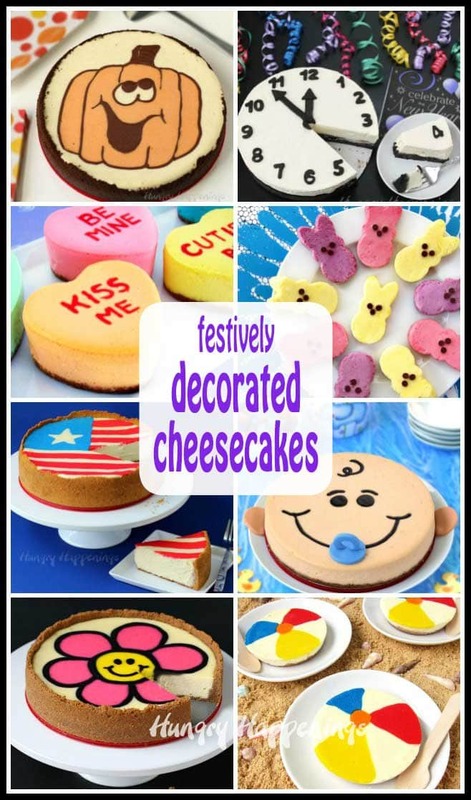 You can store the cheesecakes, on small dessert plates, in the refrigerator for up to 5 days. 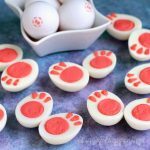 You can store the cheesecakes in the freezer in their molds for up to a month. 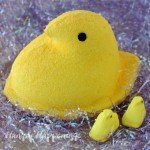 Wrap them tightly in plastic wrap and tin foil. Or remove them from the mold and set the frozen cheesecake roses in an airtight container or zip top bag and freeze. 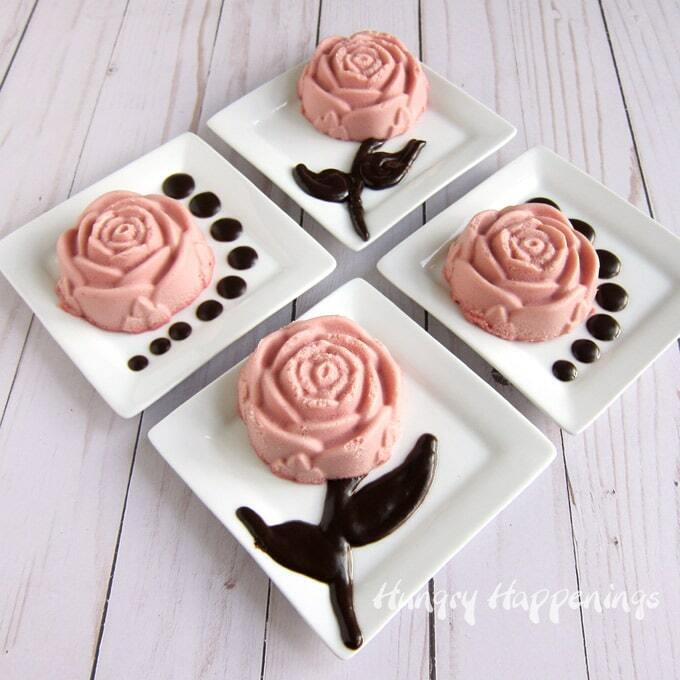 When you are ready to serve, remove the frozen roses and place them on dessert plates. It's best to plate the raspberry cheesecake roses on small dessert plates while they are frozen. The cheesecake will become quite soft which will make them difficult to serve from one large serving platter. If you make these Raspberry Cheesecake Roses with Chocolate Ganache Stems and Leaves and share them online be sure to link back to this recipe post, mention Hungry Happenings, and use #hungryhappenings. You might also like making these other cheesecake recipes. 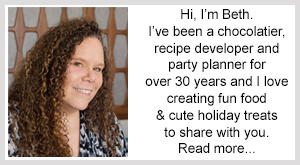 Be sure to check out all my Mother’s Day ideas and Bridal Shower recipes too. What a lovely rose to have on ANY occasion. My mouth was watering when you poured the raspberry. You know my favorite is to eat a rose… Not plant one! I’m with you on that!!! I’m trying to grow vegetables in a garden this summer and I definitely do not have a green thumb.